RUSH: (interruption) Nah, I’m not gonna do the Mayor Pete story. Why should I do the Mayor Pete story? Snerdley came in today, “Man, you just don’t know. You’re just… Every time you buzz these people, they fall for it. You just keep playing them like a fiddle,” and I knew what he was talking about. Okay. Let me grab it. (sigh) There’s a story in The Politico today and it’s been highlighted by Matt Drudge at the Drudge Report, which means that all of Washington and the entire political aspect of the country’s gonna see it. (interruption) What are you nodding your head in there? Does this upset you? The headline: “Buttigieg Attracting Praise from an Unexpected Audience: Conservatives — He’s called the Green New Deal a ‘sound framework’ for confronting climate change. He’s called for abolishing the Electoral College and has endorsed the idea of single-payer health care. And he’s openly gay. But Pete Buttigieg is getting rare praise from some unlikely voices — conservatives. 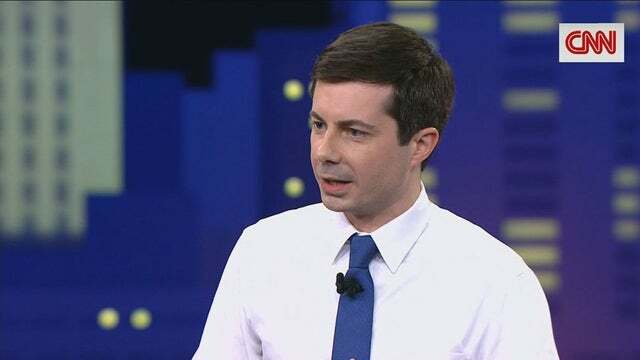 “Even talk show host Rush Limbaugh, an avid Trump supporter, said after watching Buttigieg’s town hall that he saw ‘no radicalism’ in the ‘personable’ candidate, whom he said would ‘make mincemeat’ out of his primary challengers in a debate.” Said Limbaugh, “Keep an eye on Mayor Pete.” Look, I will confess (chuckles), I thought this story would happen before now. I’ve been waiting for this. I warned you people to be on the lookout for this. This is a well-kept secret between us but now the secret is out. The Drive-By Media has stumbled across the fact that I pointed positively to Mayor Pete within the universe of Democrat candidates. This is why Snerdley thinks (whispering), “It’s working. You’re playing these people like a fiddle,” because, see, the objective is… (interruption) No, I can’t give away the tradecraft. I can’t give… (interruption) No, don’t… You just have to trust me that it worked and it is continuing to work. You can’t. It’s like a magician never reveals a trick, and I can’t… For those of you who understand what’s going on, more power to you. You’re free to go on Twitter and Facebook and explain it to anybody, but I can’t. Suffice it to say that Snerdley came in waving the story, “You did it!” (laughing) Yes.